My Wedding Day is fast approaching and after several hours lost to Pinterest I have been considering manicure ideas for my big day. You may recall I previously reviewed Mr Sandman from Little Ondine so when I spotted their Boxing Day discount I decided to place an order. I chose Obsession because I am looking for a colour that would just add a hint of something to my nails and work with my dress. I love the trend to add sparkle to your ring finger so Overnight seemed an obvious choice. I am super happy with my decision to buy these nail polishes. Obsession is the perfect colour for me, it works equally well as a one coat sheer wash or additional coats for a stronger colour. The same can be said with Overnight and I love it layered over Obsession. 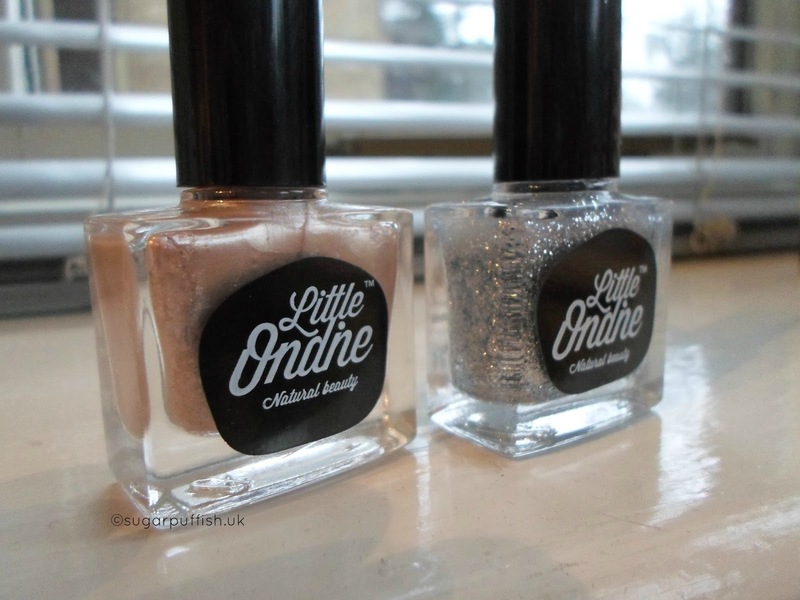 Little Ondine nail polishes are formulated with natural resin, organic colourants and water. They are odourless, quick drying and best of all PEEL OFF. The ability to remove these nail polishes with ease is why I like them, if I change my mind or mess up application I can fix the problem quickly. 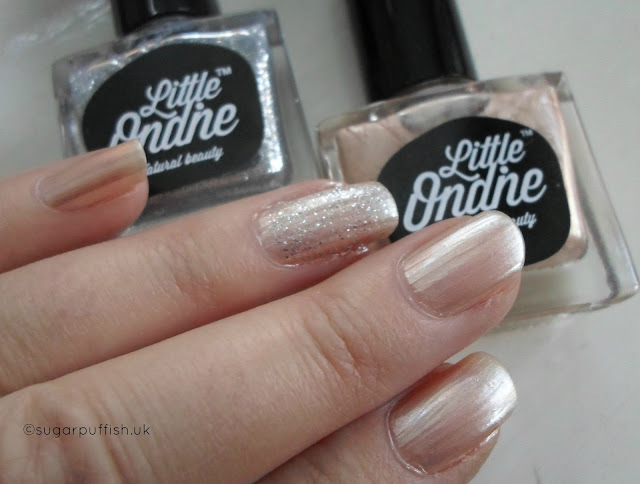 Have you tried Little Ondine nail polish?